The big game carries a big price tag. While it's difficult to gauge the cost in the long run, the numbers show the week of the game is a big money earner for the host city. Cities spend hundreds of millions to host a Super Bowl and while it’s difficult to gauge whether they ever come out financially on top, one thing is certain: During the actual week of the game, the cities make a lot in taxes. Do cities and local areas make more money in taxes than they spend in taxes during a Super Bowl week? Yes! 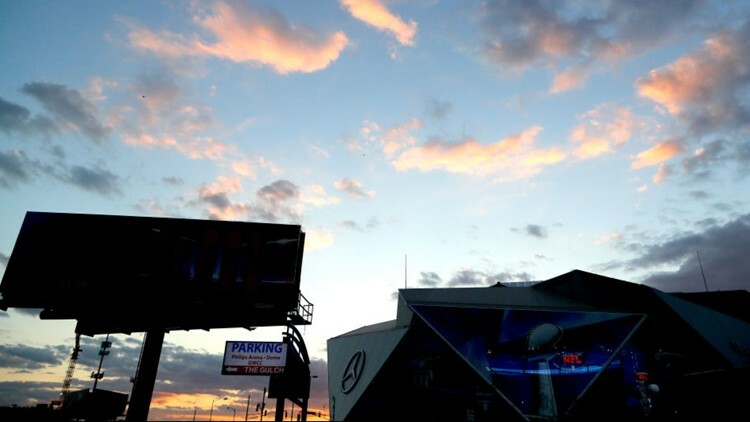 It’s difficult to total the overall costs of a Super Bowl, but during the last two Super Bowls, the taxes earned outweighed the taxes cost to put it on. Following every Super Bowl in recent history, Pennsylvania-based research group “Rockport Analytics” has published an in-depth “Economic Impact” report for the host city. The full report on Super Bowl LII in Minneapolis can be found by clicking here. The full report on Super Bowl LI in Houston can be found by clicking here. They are dense documents with a lot of information about how the money was spent and how they estimate money was fed into local economies. For this question though, we’re focused on the taxes earned. According to the Rockport Analytics report, Minneapolis, St. Paul and the “local” area saw $12 million in collected taxes. City documents show that Minneapolis did use roughly $7.4 million of taxpayer dollars before the game to pay for police, public works, the convention center, fire and more. That money was repaid by the Minneapolis Super Bowl Host Committee. According to the Rockport Analytics report, Houston and the “local” area saw $24 million in taxes collected. Houston did pay about $5.5 million for services like police, security and transportation, but that money was repaid to the city by the Houston Super Bowl Host Committee. We can VERIFY that during the week of the Super Bowl, the local areas earned more in taxes than they spent. The cities earned more than they spent during the event – but we can’t say the same overall. Before the game both Houston and Minneapolis spent big bucks building and upgrading their cities. That money can’t directly be linked to the game since it benefits the city and could have been without the Super Bowl. And there are benefits to hosting a game – like national attention and name recognition that you can’t measure in dollars. VERIFY reached out to Rockport Analytics for a more in-depth explanation of their methodology and how they generated their tax revenue numbers. As of the publishing of this article, they had not responded.